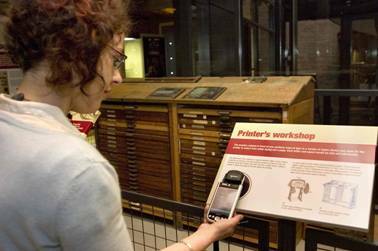 mi-Guide is a new form of information system for museum visitors. 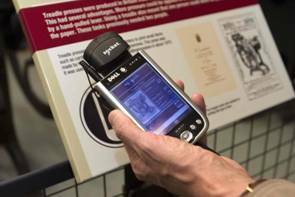 Our goal was to enhance the experience you gain when visiting a museum gallery by being able to provide you with far more information about everything you see. 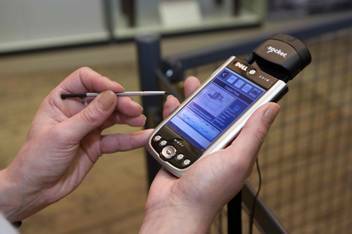 Using a hand held computer (DELL AXIM PDA) you can now receive an audio commentary, see additional images of objects, listen to sound files, and watch videos. 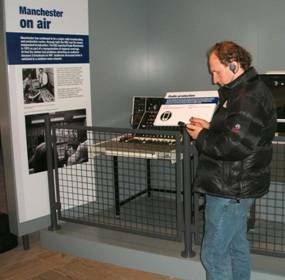 mi-Guide was developed within an EPSRC Partnerships for Public Engagement project and has been launched in the new Connecting Manchester Gallery at the Museum of Science and Industry. Opened on Friday 19th October 2007 by the Rt Hon James Purnell MP, Secretary of State for Culture, Media & Sport, the Connecting Manchester Gallery tells the story of the development of communications in the Manchester region. 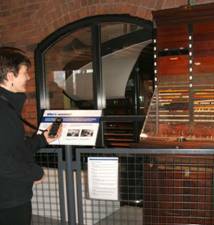 It looks at how the new technologies of their day made it possible for people to communicate faster and further. 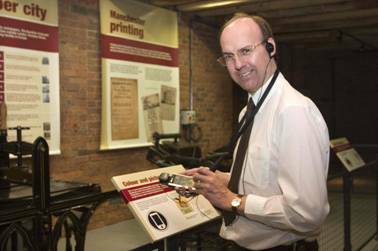 The Gallery draws on a wide range of the Museum's collections, including printing and papermaking machinery, photographic equipment, telephony and telegraphy equipment, radios, televisions, computers and other digital equipment. The Connecting Manchester Gallery is being funded by BT through its Connected Earth project. 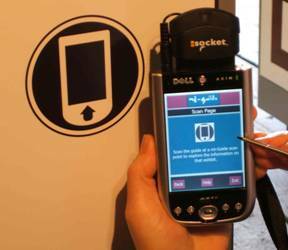 mi-Guide uses the latest wireless networking and radio frequency identification (RFID) technologies. 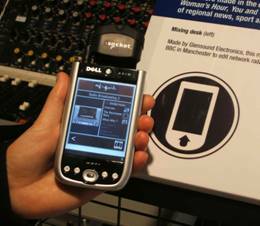 Key objects within the Gallery have an RFID tag installed, indicated by the presence of a mi-Guide scan point logo. Each of these categories then takes you to another page of information where you can listen to an audio commentary and find out even more about the object through a set of extra multimedia files. 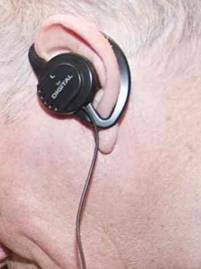 The audio commentary can either be listened to using the single ear piece provided or using the speaker option. In the next phase of our work the functionality of mi-Guide will be extended to provide a new ‘@school’ service which will not only allow teachers to access mi-Guide content from their classrooms but also to use mi-Guide within the Connecting Manchester Gallery to focus on objects covered in lessons and to record their visit. In addition the context aware features will be further explored to allow the content delivered to the mi-Guide hand-held to be more personalised and tailored to the route you have taken through the Gallery. Watch a Powerpoint presentation explaining the background to mi-Guide and its early development. Connecting Manchester opened to the public on Saturday 20th October 2007. Come and visit the gallery and try out mi-Guide for yourself.